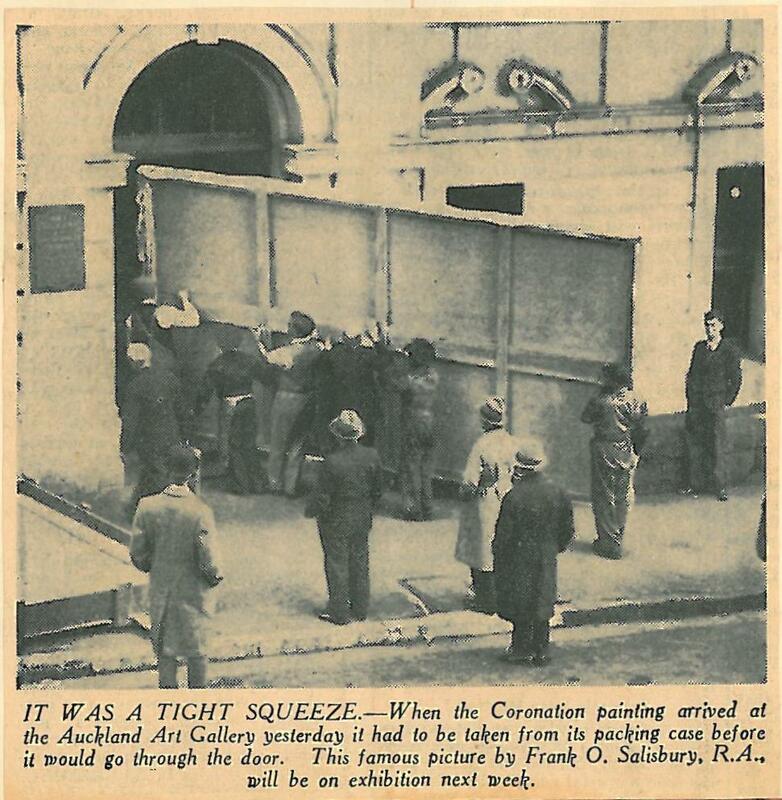 Following on from my blog If these walls could talk..., I came across this fantastic image from 1940 in the Auckland Star in one of the Gallery's newspaper clippings books. 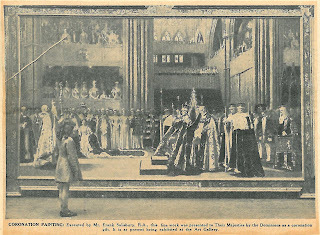 It shows the coronation picture of George VI, being carried into the Gallery through what was then the main Gallery entrance - in the middle of the Kitchener St facade. 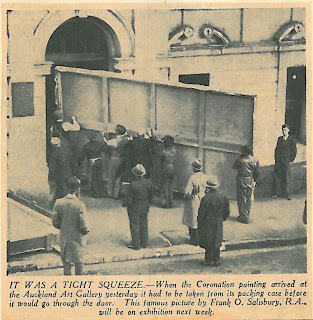 The painting obviously made it in, as it is pictured below on display - the person standing in front of it gives you a sense of just how large it is. 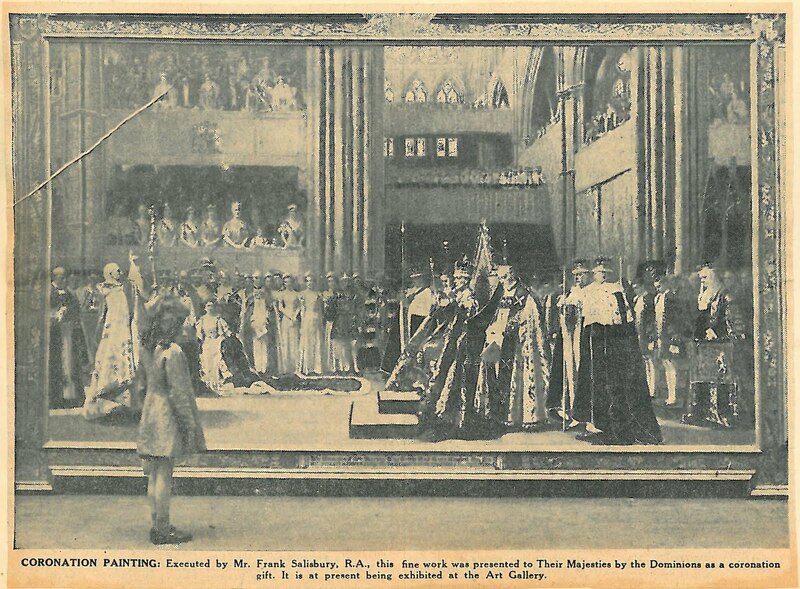 Painted by Frank O Sailsbury, RA, it records the 1937 coronation in Westminster Abbey. The accompanying caption notes that 'It was presented to the King as a token of loyalty and affection by the Dominions of Canada, Australia, South Africa and New Zealand.' A timely find given the renewed prominence of 'Bertie' or George VI, as he became, in The King's Speech.